Looking for getting Iran Visa on Arrival? Here we collect the important thing you must know about Iran Visa on Arrival in 2018; you will find out more about How to apply for it and who can get Iran visa in the airports. 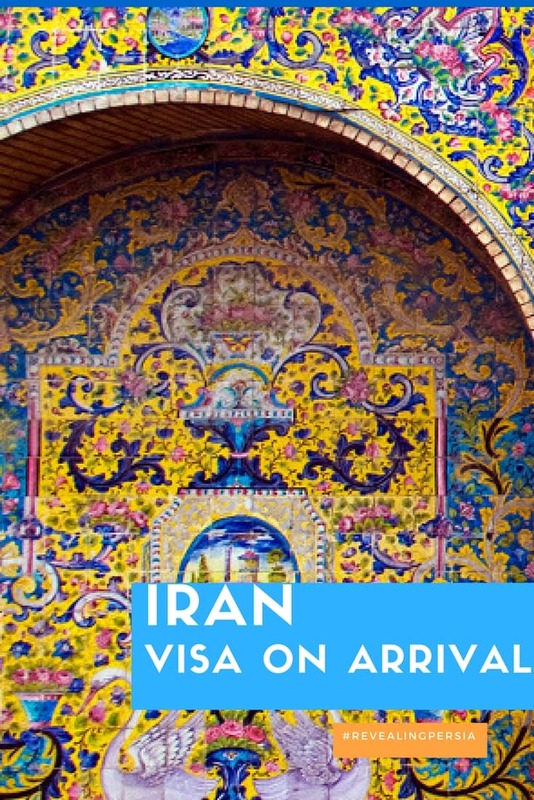 Iran visa on arrival (VOA) or Iran airport visa, refers to that kind of Iran tourist visa received by nationals of all countries (except those listed below) traveling to Iran for tourist purpose. Iran visa on arrival usually has 30 days validity and issued at six airports in Iran. You can not get this visa on the land borders. What is the difference between “visa on arrival” and “visa free entry” for travel to a foreign country? The difference is that “visa free entry” means that you can enter the Iran without a visa for a specified period of what’s usually called a ‘landing permission’, where a ‘visa-on-arrival’ means that you need a visa to enter, but can apply for and receive the Iran visa when you show up. There’s not a huge difference between these two regarding what happens when you get to the airport, but regarding diplomacy and time/role based restrictions, there’s a big difference. “visa free entry” exists because two countries sat down and said, “Hey, it’s in our mutual interest to allow each other’s citizens into the other country…it’s good for business and tourism yadda yadda”. So the first time I came to Japan, I wasn’t required to get a visa because the US and Japan had sat down at some point and hashed out a treaty allowing me as a US citizen to enter Japan for up to 90 days for tourism or business meetings. Visas in general, including “visa on arrival,” generally means that there hasn’t been an explicit agreement between two countries for whatever reason allowing visa-free entry. Iran’s tourism industry looks set to grow rapidly following the lifting of economic sanctions, with more westerners seeking to visit and plans being made for the development of tour companies, hotels, and tourist facilities. Due, this project Iran adding more countries into the Iran Visa on Arrival list and recently extend the 15 days validation to 30 days. Where Can You Get Iran Visa on Arrival? Getting the Iran Visa on Arrival requires the below documents, Please remember Iran visa on arrival is usually issued for 30 days. It can only be extended if Iranian Foreign Affair Office finds it necessary. In that case, usually maximum 14 days extension is possible. If your itinerary is longer, we recommend choosing the Tourist Visa for tailoring your tour. Note that in case your Iran visa on arrival is rejected you will be held the responsibility for the return flight and any other costs. Visa stamp fee, which is payable to the Iran Visa & Passport Office at the airport. Iran airport visa fee depends on the applicant’s nationality. An invitation letter or hotel reservation voucher. The invitation letter has to be sent from the Iranian travel agency to Iran Ministry of Foreign Affairs at least 48 hours before your arrival to Iran airport. Who can get Iran Visa on Arrival? Citizen and Passport holders of eligible countries can get Iran Visa on Arrival; The eligible countries are Albania, Armenia, Australia, Austria, Bahrain, Belarus, Belgium, Bosnia, Herzegovina, Brazil, Brunei, Bulgaria, China, Croatia, Cuba, Cyprus, Denmark, Finland, France, Germany, Greece, Hungary, Indonesia, Ireland (Rep.), Italy, Japan, Kazakhstan, Kuwait, Kyrgyzstan, Luxembourg, Malaysia, Mexico, Mongolia, Netherlands, New Zealand, North Korea, Norway, Oman, Peru, Philippines, Poland, Portugal, Qatar, Romania, Russian Federation, Serbia, Singapore, Slovak (Rep.), Slovenia, South Korea, Spain, Sweden, Switzerland, Tajikistan, Thailand, Turkmenistan, Ukraine, UAE, Uzbekistan, Venezuela, and Vietnam. Journalists and reporters on mission cannot get Iran visa on arrival. Iranian nationals holding other nationalities passport are not allowed to get Iran visa on arrival. US citizen and passport holders can travel to Iran even after Trump ban for Iranian to America, but they can not getting on arrival visa; If you have planned for going to Iran, you can join the group tours, buying the individual tour or hiring the tour guide in Iran. With our years of experience Revealing Persia, we can help to make tour itinerary, booking the hotel, getting a visa and hiring a travel guide in Iran. The way for US Citizen, in reality, is easier than words. Leave us a message here or info [at] revealingpersia.com. All European Union and some other visitors can obtain a tourist visa, valid for up to 30 days, on arrival at certain Iranian airports. This visa cannot then be extended further. But Iran visa for British nationals is different, and as UK passport holder you need to obtain a visa before traveling to Iran. You can apply for your Iran tourist visa as British citizens here, and if you have any question, you can contact us or send us an email to info [at] revealingpersia.com. 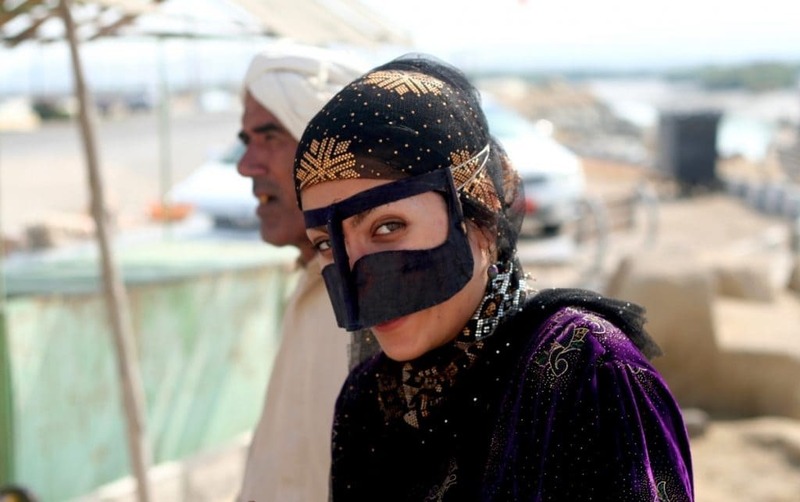 Canadians must present a passport to visit Iran, which must be valid for at least six months beyond the date of expected departure from that country. Before traveling, ask your transportation company about its requirements related to passport validity, which may be more stringent than the country’s entry rules. Temporary passport holders may be subject to different entry requirements. In case you can contact our experts here. Canadian citizens using a Canadian passport require a visa to visit Iran. Canadian can not get Airport and Iran Visa on Arrival, and you need to obtain your visa before your trip. Canadian-Iranians must enter and exit Iran using their Iranian passport. When returning to Canada from Iran, they must present to Canadian officials the passport they used to leave Canada. If you enter Iran with a transit pass issued by an embassy of the Islamic Republic of Iran abroad, it may take up to a year to obtain an Iranian passport to exit Iran or return to Canada. Iranian immigration authorities have confiscated the foreign passports (including Canadian) of dual Iranian citizens. Iranian authorities sometimes insert an observation in Iranian passports limiting the bearer to one trip to Iran per year. Dual citizens using an Iranian passport to enter Iran should take note of this limitation, as it is strictly enforced: those who have exceeded this limitation have been prohibited from leaving Iran. This situation seems more likely to occur when dual citizens have not completed their military service in Iran. Dual citizens who have obtained their Canadian citizenship after being accepted as refugees in Canada may have their Iranian passport seized at a port of entry and be prohibited from leaving Iran for a year. Here is the travel advice for Canadian. Is it possible to get Iran Visa on Arrival as US, UK, and Canadian Citizens? No, Amercian, Britain, and Canadian can not get Iran Visa on Arrival. If you are one of this three countries passport holders contact us to help you for getting Iran visa or apply for your visa here. Unfortunately, Indian passport holders can not get Iran Visa on Arrival, Indian can apply for Iran visa here and obtain their visa before the trip. You do not need additional documents, and you can use easily through our eVisa platform for Iran Tourist Visa. These countries cannot visit Iran by visa on arrival and should get their visa beforehand: Iran Visa on Arrival is not issued for USA, UK, Canada, Colombia, Somalia, Bangladesh, Jordan, Iraq, Afghanistan, Pakistan, and India nationalities. These citizens can apply for their Iran tourist visa here; we will help you to get your Iran Visa. Just it is happy to know we do not provide Ziarat Visa or any Pilgrimage visa in Iran. How to get Free Iran Tourist Visa? Three group can use Free Iran Tourist Visa; Citizens of eight countries with free visa agreement, Kish, and Qeshm Islands visitors and Revealing Persia tour customers. A visa is a conditional authorization granted by a country to a foreigner, allowing them to enter and temporarily remain within, or to leave that country. Visas typically include limits on the duration of the foreigner’s stay, territory within the country they may enter, the dates they may enter, the number of permitted visits or an individual’s right to work in the country in question. Visas are associated with the request for permission to enter a country and thus are, in some countries, distinct from actual formal permission for an alien to enter and remain in the country. In each instance, a visa is subject to entry permission by an immigration official at the time of actual entry and can be revoked at any time. We offering Free visa for our tour packages clients and Iran Visa is included the all of our packages. Feel free to contact our expert and get a quote. Your scanned document must: be in color, be in JPEG (.jpg) or .pdf file format, be equal to or less than 500 kB (kilobytes) in file size, contain only the first page (bio page) of your passport and be clear and fully readable. Preferred Embassy to pick up your visa. If you want to have on arrival visa, please mention name of your arrival airport in Iran.